The world is all set to experience the sensational all-screen and minimal bezel iPhone X, and it’s the high time for businesses, iPhone app development companies and their UX-UI designers and iOS developers to swing into action to make their app compatible with the latest iPhone model and tap into the innovation opportunities therein. Updates and upgrades are innate part of mobile app development life-cycle. And when it comes to exercising the same for an app targeting iPhone, the world’s best mobile platform, the art demands a subtle mind with prudential approach because Apple keeps on raising the bar of user experience with every minor or major release, thereby, making the consumers crave for more. So what are the trouble waves? The obvious ones are in the form of all-screen revolutionary design, unparalleled technical specifications, and built-in capabilities. However, history has got proves that those who braved odds succeeded in differentiating themselves from the crowd. So, the same trouble waves could be a business differentiator for businesses and for the iOS app development companies skilling their craft. The pre-order for iPhone X is yet to start in the coming weeks, one can see the tilt of the consumer's sentiment in favor of the Cupertino-based technology giant. Around 28 percent of Americans are willing to go for it, according to a recent US-based survey of 4000 respondents by RBC Capital Markets. 17% expressed their interest in purchasing iPhone 8 and 20% reposited faith in iPhone 8 Plus. So, it becomes a must that we start learning how to translate the trouble waves into business opportunities. Starting from the look and appearance to performance and security, iPhone X takes a huge stride, and it’s time for iPhone app designers and app developers to go with the pace, and make their creativity stands the test of time as Joseph Angelo Todaro puts his thought with Invisionapp. 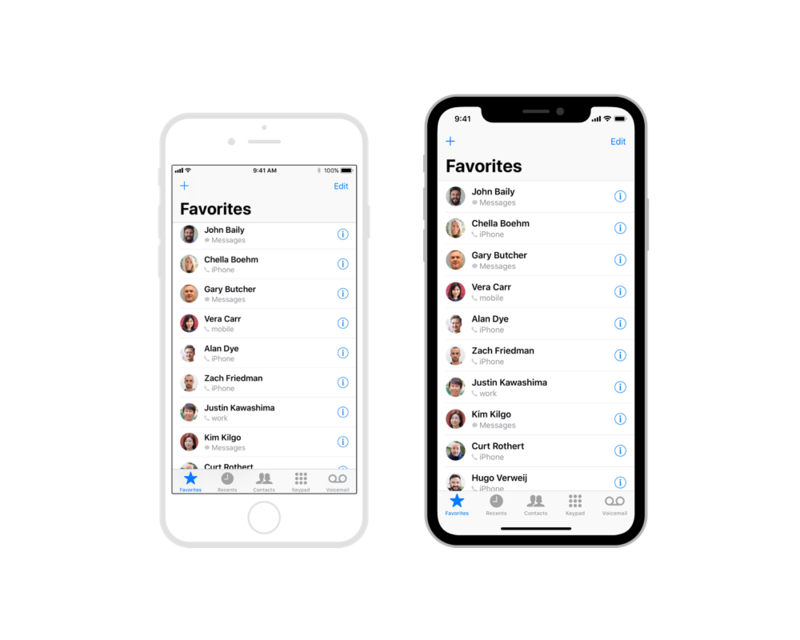 Two prominent changes on the screen includes - squeezing and reduction of the status bar on the top and removal of the iconic Home button from the bottom. The modification creates 20% more space, which translates to 145 pt. You don’t need to worry about your existing app as the app layout or dimension gets automatically adjusted with the device’s screen size. However, it opens a gateway to opportunities for you. You can use the extra space to add the feature, display content or run an advertisement. 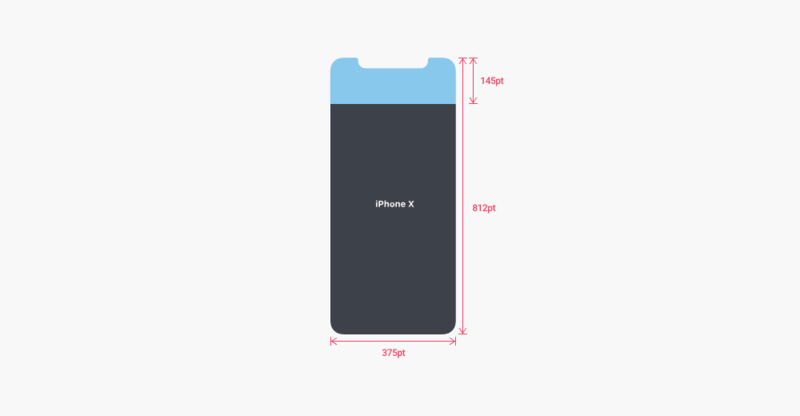 It’s desired that UX-UI designers use new iPhone X artboard size available with their Sketch or Photoshop artboards and choose a resolution of 375 x 812. Warning Sign: Remember, the circular home button is replaced with a horizontal bar, called home indicator at the screen bottom. It bounces up and down indicating that you can swipe it up or down to lock or unlock the device. So, when you design your app, be mindful of not hiding the home indicator, or providing an interactive element like button on your app anywhere too close to the indicator. As that might confuse and irritate users. As compared to iPhone 8 that boasts to have the pixel density of 401 ppi, iPhone X has got 458 ppi. Extra pixel density means consumers will have a better visual experience. So make sure you withstand their expectation by offering better quality visuals in your iPhone app. If your app has got built-in TouchID-based authentication as a security feature, it’s a wake-up call. 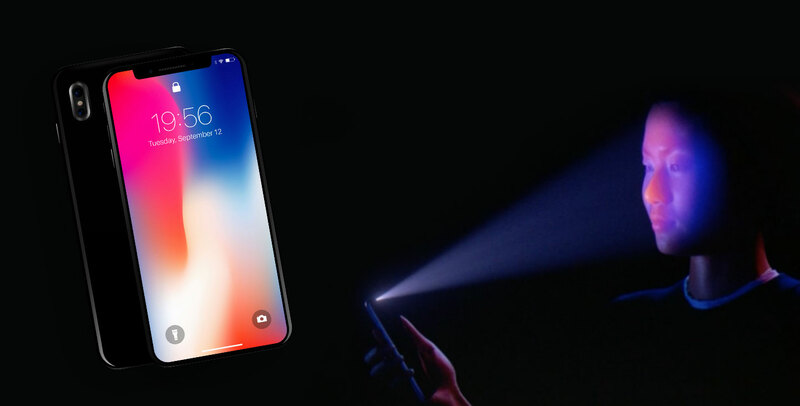 Apple has replaced it with FaceID and, so don’t expect iPhone X with the fingerprint scanner. Ewan Spence, a contributor to Forbes, see this as an act of arrogance by the Cupertino-based company. Apple thinks that Face recognition is much more authentic than fingerprint. The combination of 64-bit A11 Bionic chip and iOS 11 operating system is to make sure that performance never takes a backseat. Here is what Apple expects from iPhone app developers. Pitching for 64-bit apps only, Apple expressed its seriousness long back ago, as we covered in one of our blogs. Considering that 28% of consumers are willing to go with one of the most expensive phones , it makes sense to go with 64-bit iOS app development. In fact, Apple’s commitment to providing a superior experience with 64-bit apps is not something new. Apple introduced 64-bit chip architecture way back in 2013 with the launch of iPhone 5s. So, going with a 64-bit app is no more a luxury as it would have been in 2013 or later, but a necessity and a matter of survival. Extending the usage of its proprietary iPhone apps like Phone, Messages, Siri and Maps with third-party application with the launch of iOS 10 last year, the company has already taken a positive move in this direction, and iOS 11 along with iPhone X is to take that legacy forward with a greater intensity to provide more immersive native experience to iOS users. iOS 11 is also a determined push to bring augmented reality into the mainstream and make it more pervasive and purposeful. So, you can expect AR to find its implementation beyond the entertainment industry, including retail, real estate, hospitality, healthcare, and manufacturing. The use of AR technology by Coca Cola, one of the largest beverage companies is truly inspiring. AR-driven by artificial intelligence is helping many of its bottling plants to keep a check on maintenance budget. So with iPhone X and iOS 11 innovation, Apple is aiming to consolidate its position as a technology leader. The enhancements and upgrades they bring are most likely to revive the user experience. However, a greater sense of ownership rests with you as how intelligently you choose your iPhone app development company. Whether it has got skilled iOS developers with proficiency in Swift 4 programming language, utilizing Xcode 9 resources, and most importantly, has it done a project similar to what you have been thinking of.